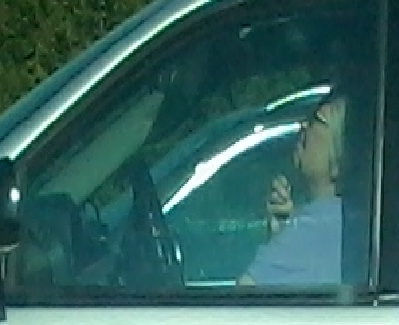 Have you ever seen an old lady picking her facial hair with tweezers in her car? I have recently...TWICE. Here is one of them. I'm all for personal hygiene but GAWD do this stuff at home. The best part was she caught me watching her after I took these and she got embarrassed. Labels: funny , girl stuff , WTF?